When I got introduced to Pilates I had no idea what it was or what it was supposed to do. I joined a general class and found myself staring at the ceiling for the best part of an hour with no clue to what the teacher was expecting us to do. When I looked at my class mates they all seemed to know what the teacher was talking about but there was little I could see that I could copy. I decided that class wasn’t for me and tried another teacher. And what a difference that made! Her way of teaching helped me “get” Pilates and inspired me to become a Pilates Teacher myself. That was over a decade ago, but I feel to this day the majority of people are as clueless when it comes to Pilates as I was back then. The thing with Pilates is you have to do it to understand what it’s all about. And you have to give it a bit of time, I would say a minimum of three sessions, to allow it to “sink in”. I have taught many different classes when I started out, and what became apparent was that learning, and “getting”, Pilates in a general class is not only very difficult but also very frustrating, for the student, the fellow students and the teacher. 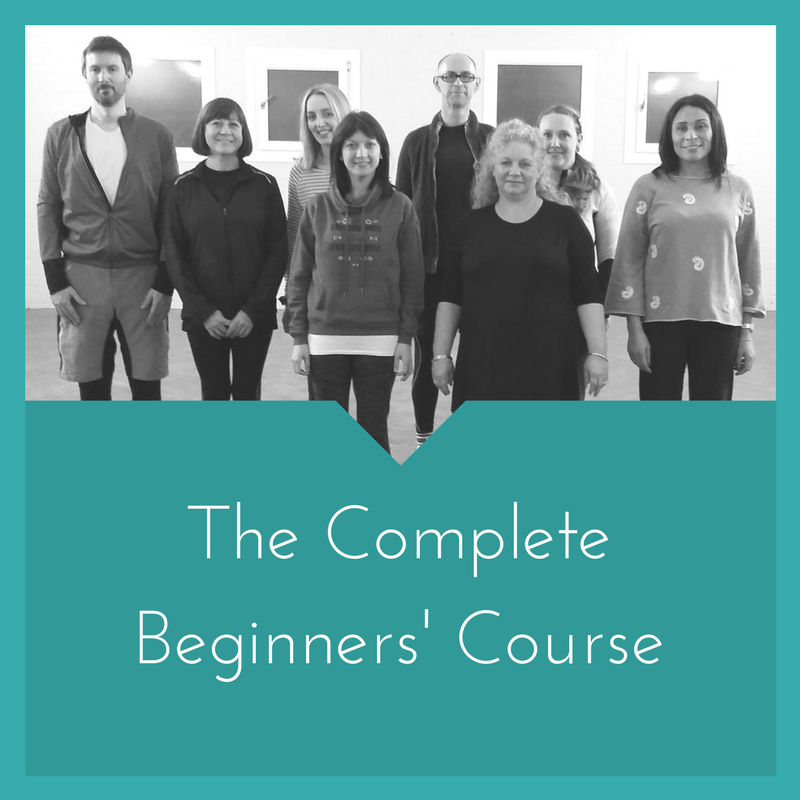 At one of the studios where I was teaching at the time, I was asked to create a beginners’ course for those new to Pilates and out of that my Complete Beginners Course evolved over the years. I created this course to introduce Pilates to everyone who’s interested in giving it a go. Over the 6 or 7 weeks we cover principles like alignment, breathing and centring which are the foundation of any Pilates exercise. And we learn the basic exercises to start strengthening our core, improve balance and coordination, and gradually progress towards the improvers level. When trying to explain what Pilates is I often say it’s like learning how to cycle. It takes a bit of perseverance in the beginning to getting to grips with the steering, the pedalling, the balancing, the breaks, and taking our surroundings into consideration all at the same time! But after a few goes we jump unto the bike and off we go without thinking much about it. It’s a similar story when it comes to Pilates only here, we’re much less likely to fall into stinging nettles or scrape our knees. The backbone of Pilates is your backbone, literally. It’s all about the spine. Now to many that doesn’t sound very compelling but anybody who ever hurt their spine will tell you otherwise. Whilst we find and use the spine’s optimal alignment, we work from there to stretch and strengthen the entire body, including the brain. 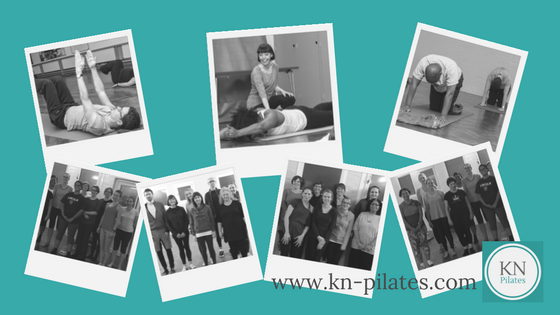 You can ask 5 people who do Pilates what they enjoy about it and what benefits they gained from doing it and you will get many different answers. It’s a bit elusive that way. It depends on your before, during and after. If you sit at a desk all day and hardly move you are likely to feel great benefit from moving all joints, stretching tight muscles and strengthening weak ones whilst finding a more balanced way to go about your day, starting with knowing what correct posture actually means. If you’re on your feet all day looking after children and running a household you’re likely to feel the release that comes from focusing on one thing only, and that’s you. Again, moving all joints with control and creating movement with purpose whilst focusing on your breath can lead to relaxation and a better night’s sleep. Some students enjoy Pilates for the practical application to their everyday lives, others enjoy it for its holistic benefits, or a bit of both. If you’re intrigued, join me on my next Complete Beginners’ Course to find out what Pilates can do for you. We’re starting 9th September. Previous post Violin Music Lessons for Children + Adults!